A beach with entertaining night life and Scuba Diving. 98 km. 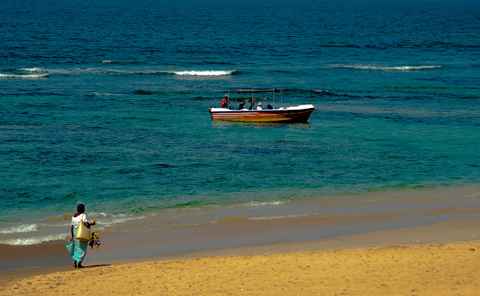 south of Colombo, Hikkaduwa is the place for underwater delight. Site of the famed coral gardens; hire a glass bottomed boat or goggles and flippers and explore the fantasies under your feet.